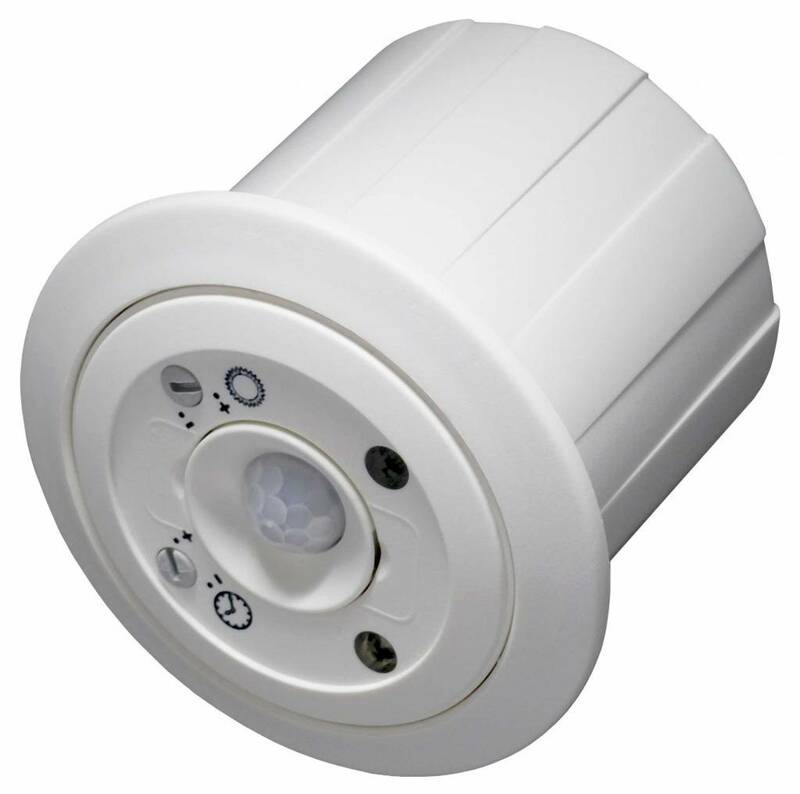 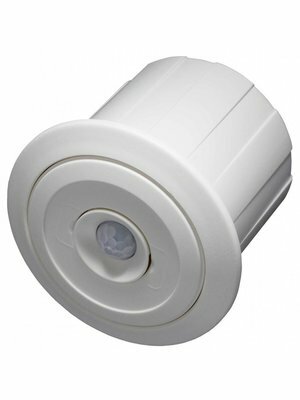 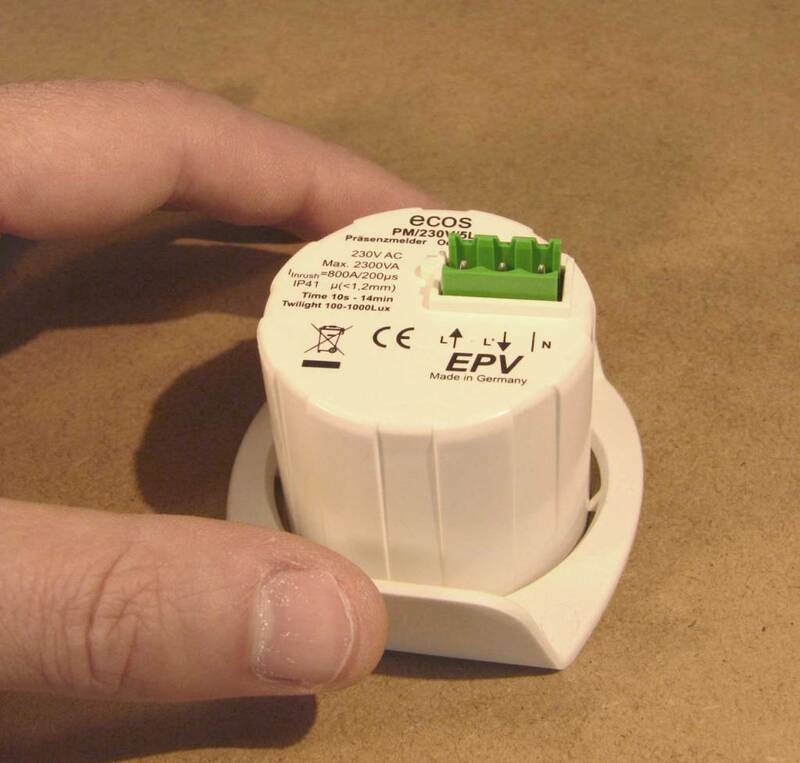 The ecos PM/230V/L offers a built-in daylight sensor and an adjustable twilight level switch above which the occupancy sensing is deactivated (i.e. 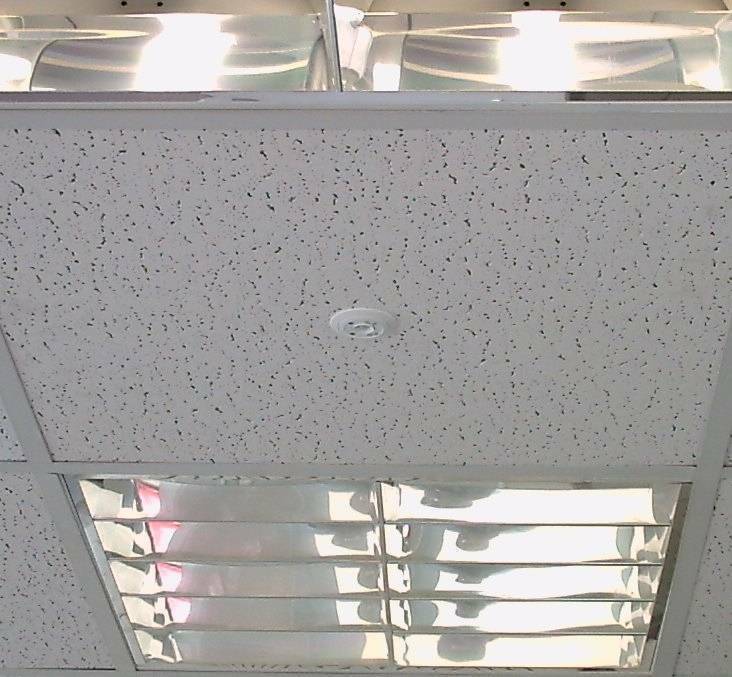 the artificial light remains off when the lights were off before you enter the room and they turn off after the delay time when they were on before and when there is now sufficient ambient light from outside). 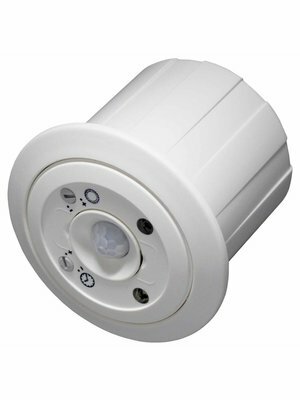 This model is usually the right choice for rooms where you often keep the artificial light off during the day due to sufficient day light and thus offers you full flexibility. 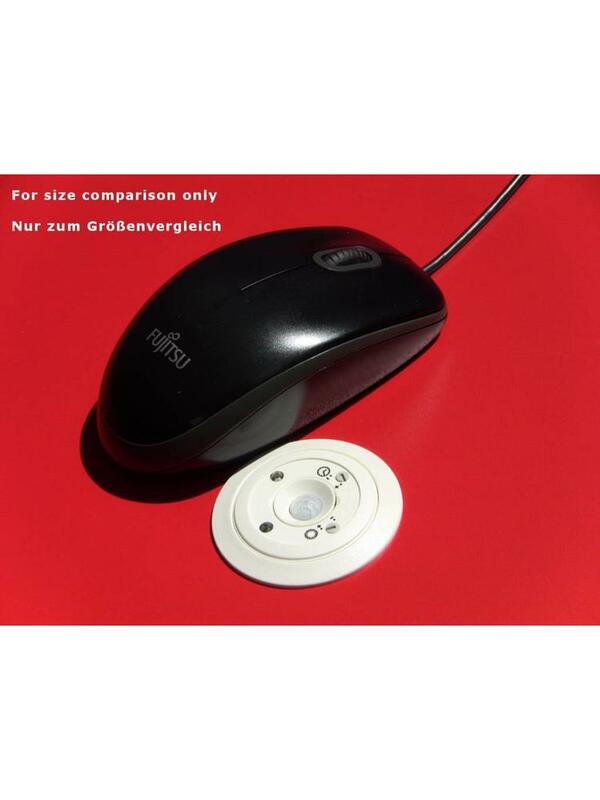 "The Allrounder". 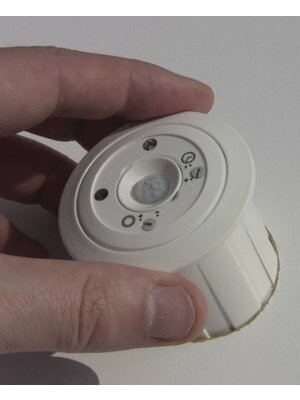 Adjustable twilight setting 100-1000 Lux, above which the occupancy sensing is deactivated. 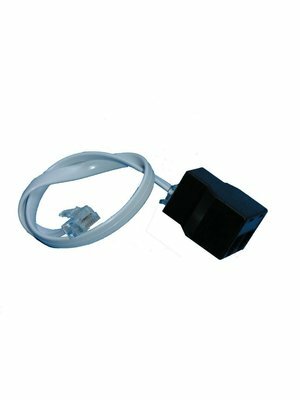 Switching capacity 2300W / 800A inrush current. Scope of delivery: WAGO kit with strain relief & cover and clip to mount the sensors in false/suspended ceilings. 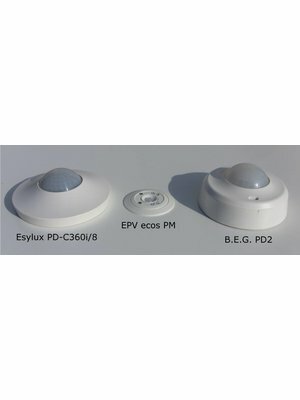 SLAVE sensor for coverage area extension of all EPV MASTER sensors. 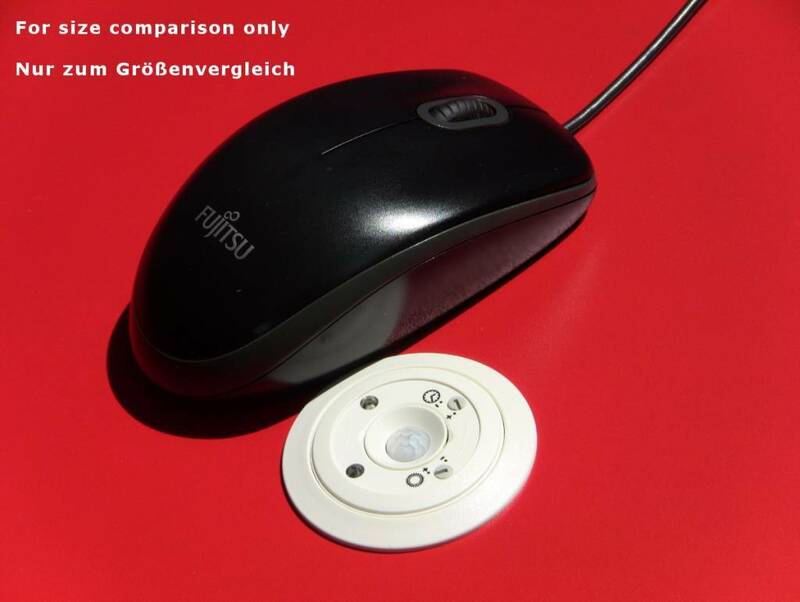 In two variations available. Up to 12 meter installation height. 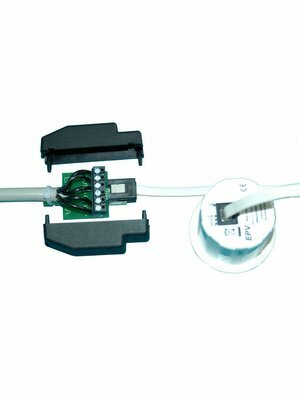 Cable adapter to make the transition from RJ11 and RJ12) to installation cable or individual wires. 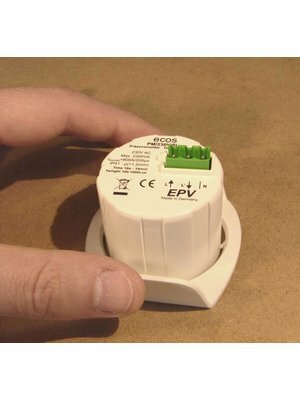 Used for plugging several 24V sensors together (MASTER / SLAVE) Rule of thumb: Typically 1 unit per SLAVE sensor required. 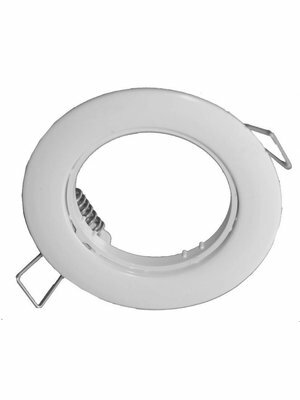 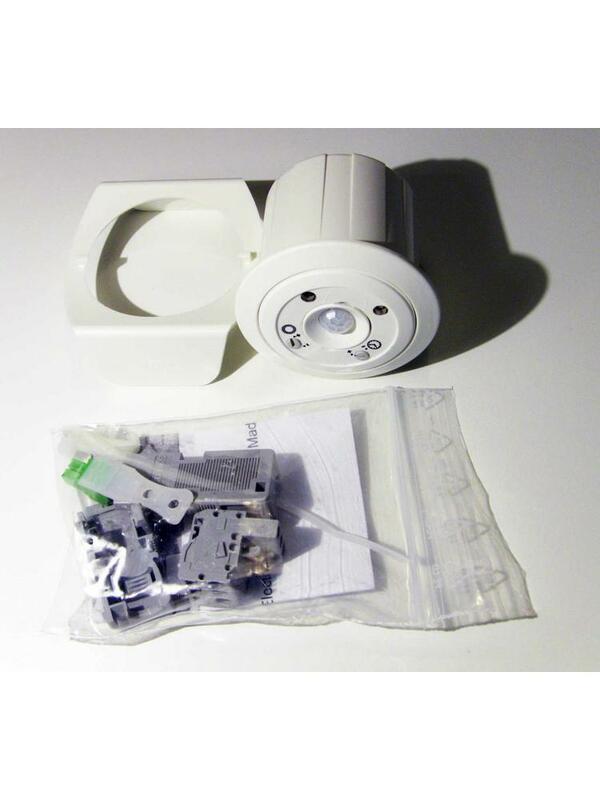 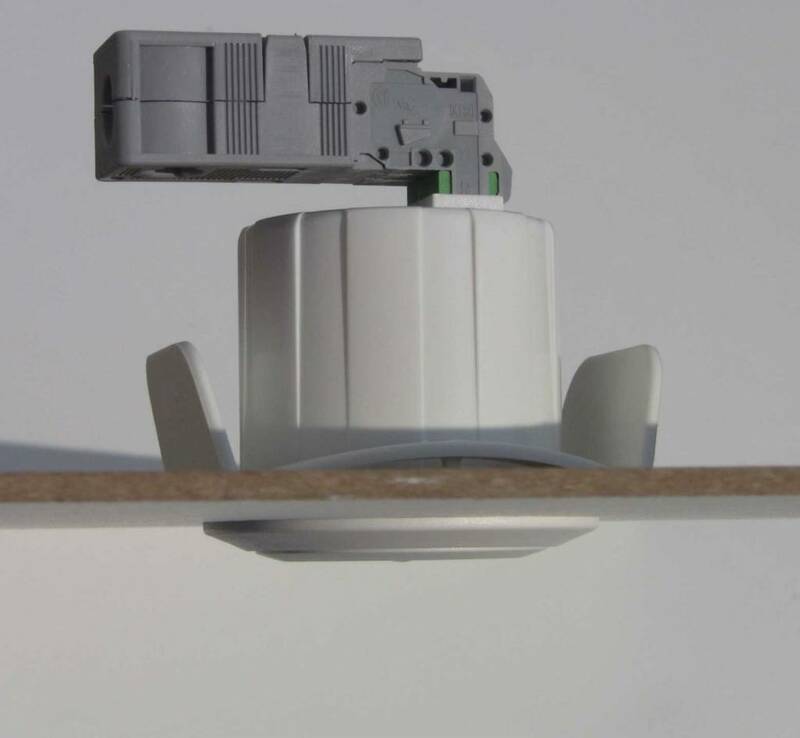 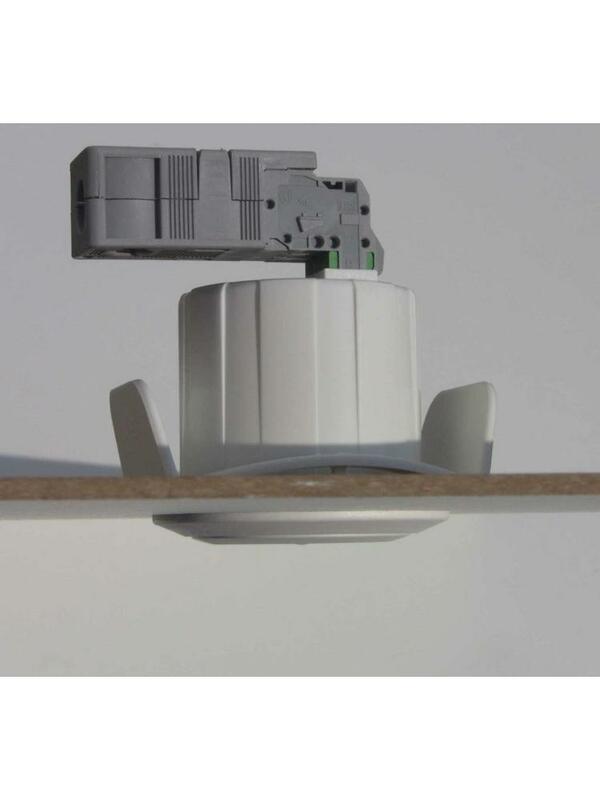 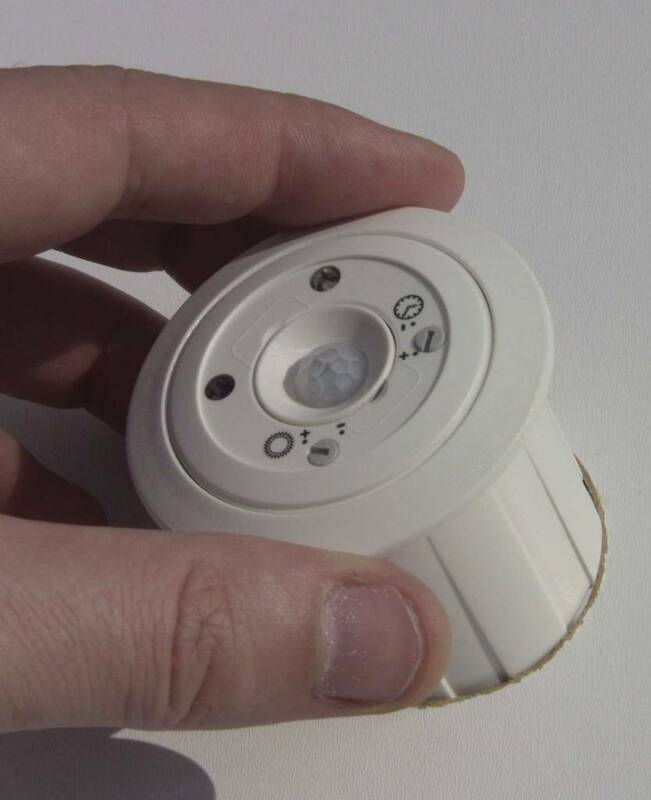 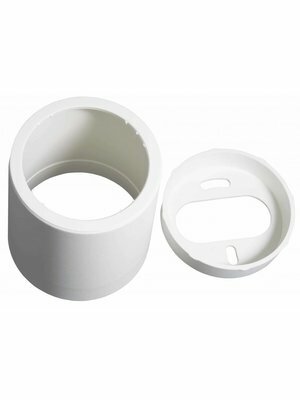 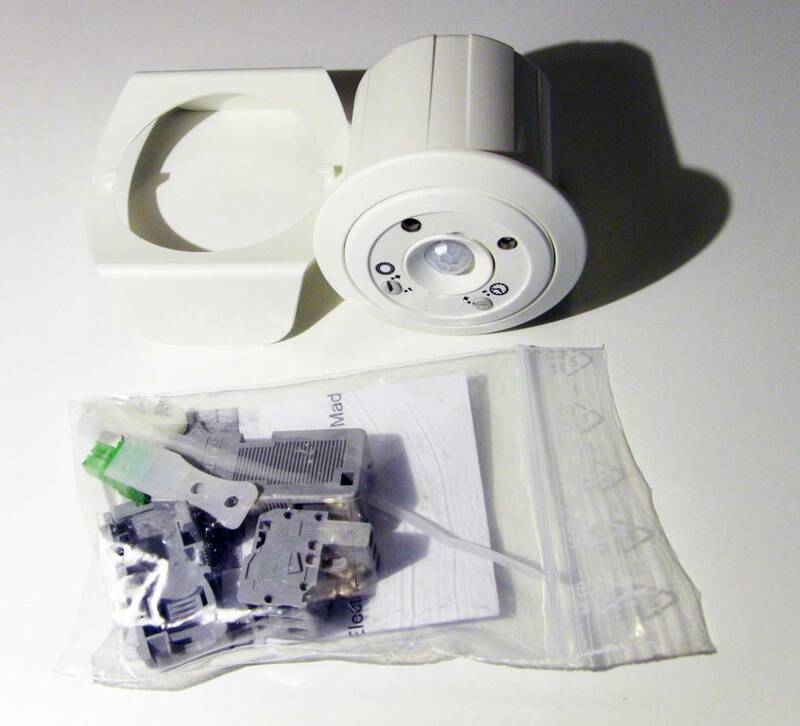 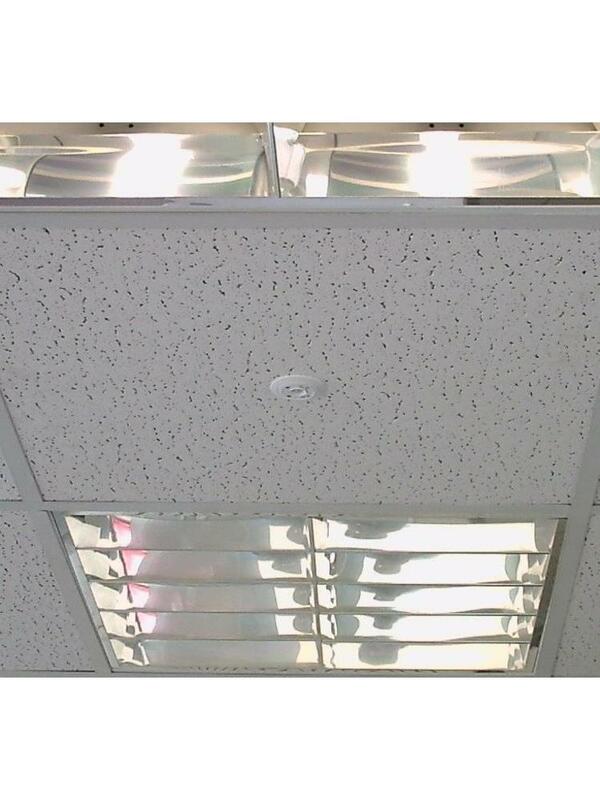 For the installation of occupancy sensors in suspended one-piece ceilings (drywall, acoustic ceilings), in which the standard mounting clip can not be used. For surface installation if installation depth is insufficient or installation is not possible (e.g. 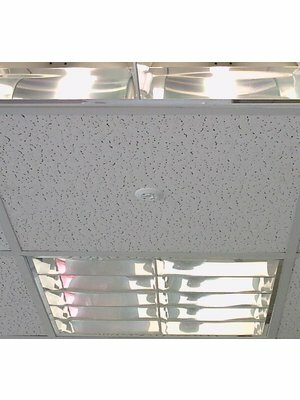 exposed concrete ceilings).